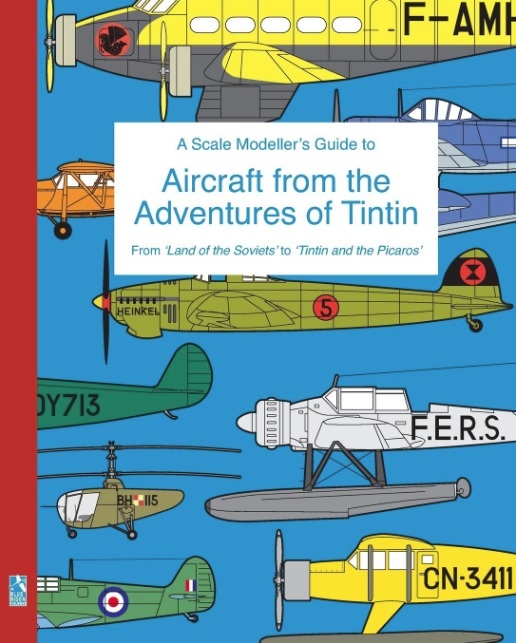 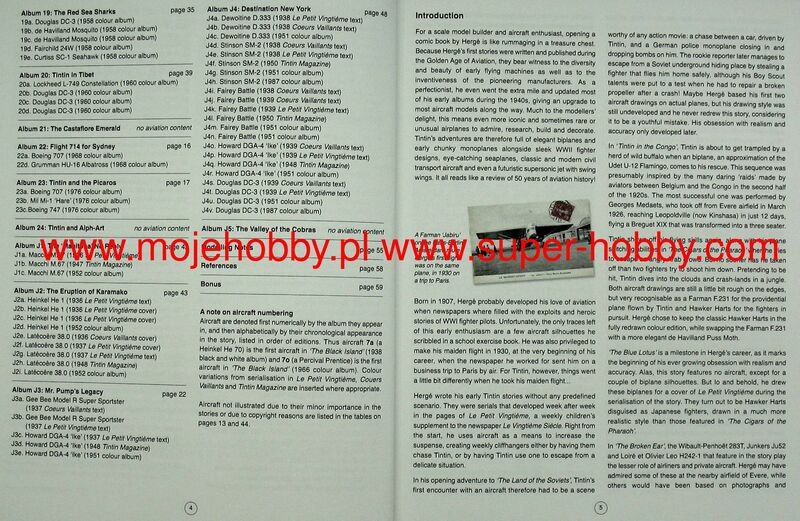 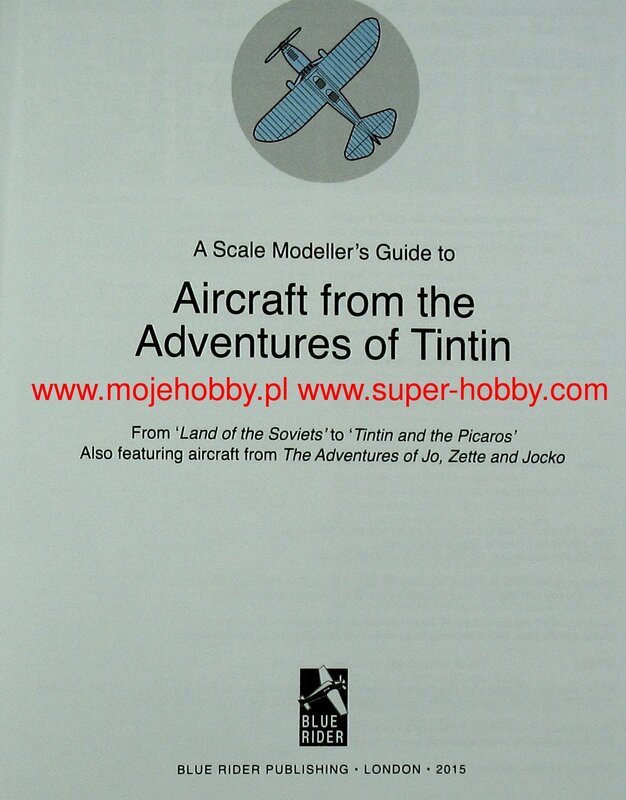 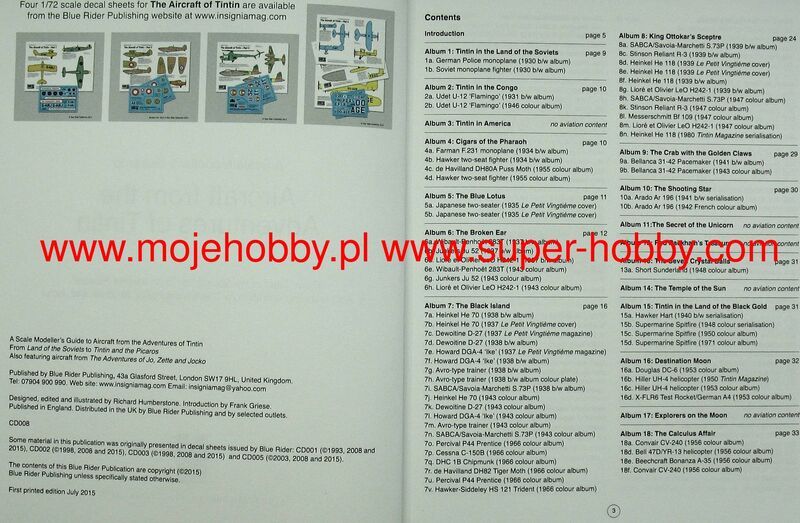 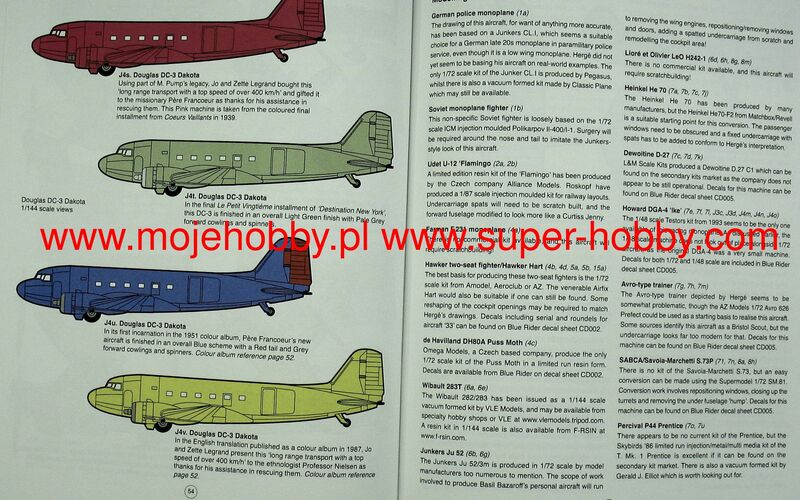 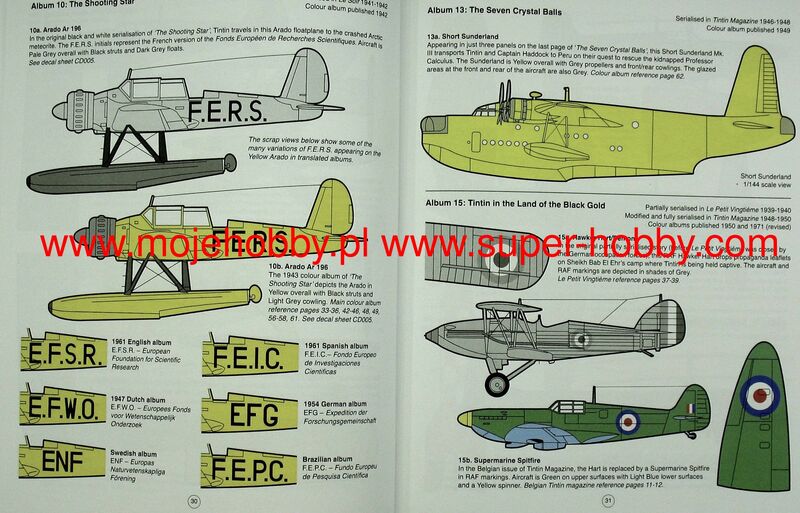 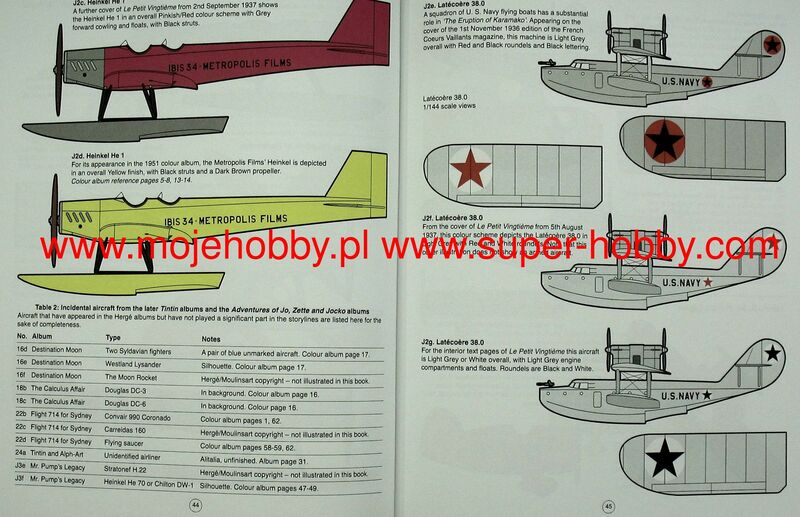 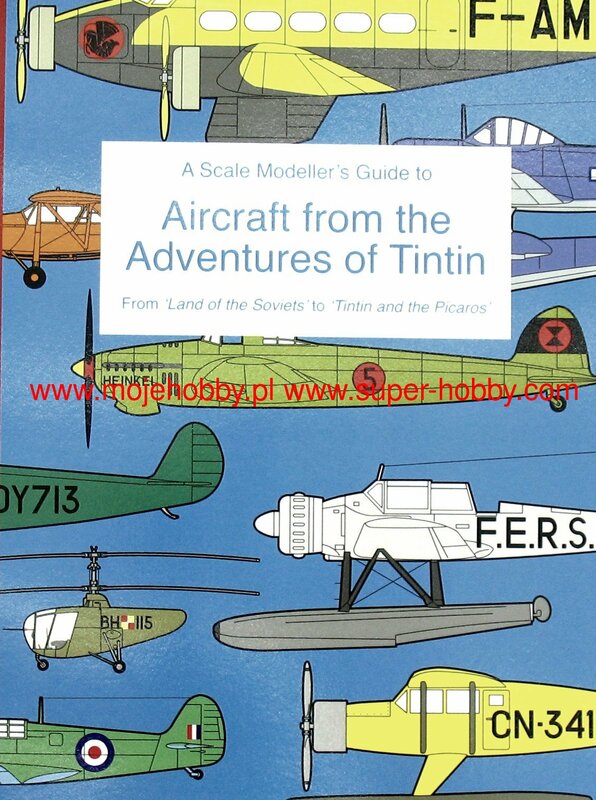 A full color 60 page scale modeller's guide to the aircraft depicted in Herge's Adventures of Tintin. 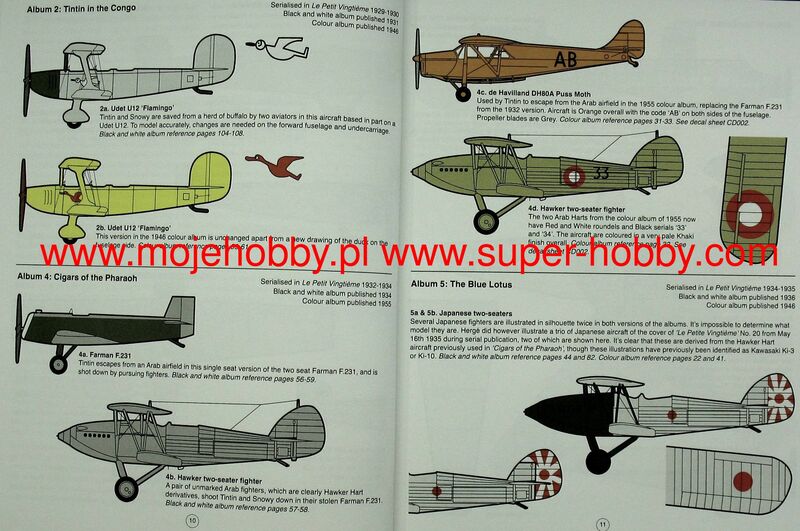 All 118 aircraft that have appeared in the classic comic albums are depicted in 1/72 and 1/144 scale profiles, with detailed color information. 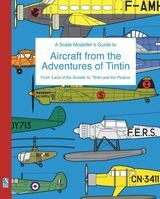 Aircraft from Herge's Adventures of Jo, Zette and Jocko are also included.